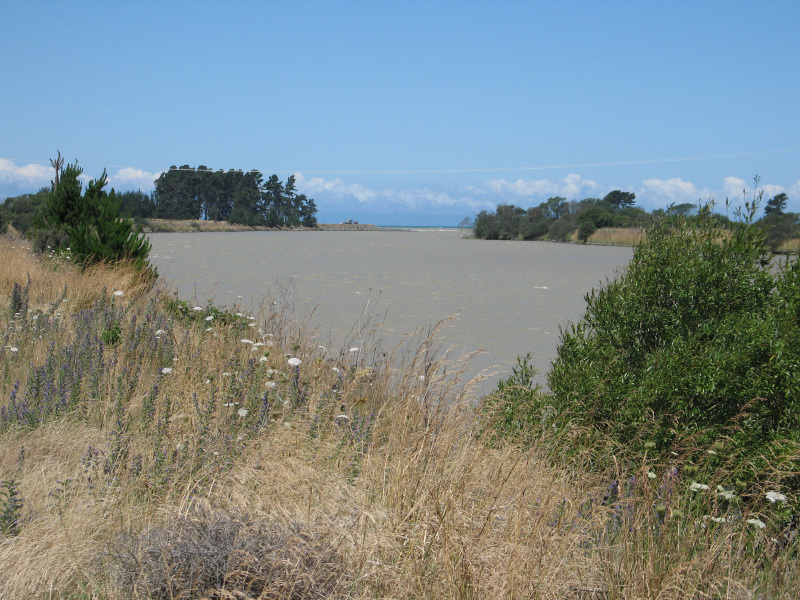 An interesting letter to the editor in the Marlborough Express (Wednesday, January 23, 2013). 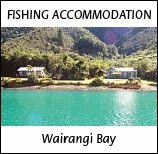 Keywords: Grant Rosewarne, bias, King Shags, article, Penny Wardle, Rob Schukard, facts, scientific evidence, expert, scientific papers, testimony, court cases, Sagar, qualifications, none. 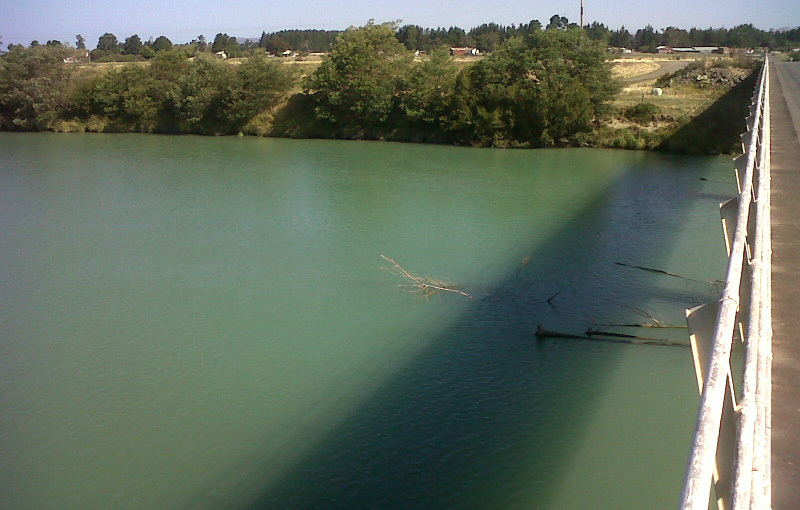 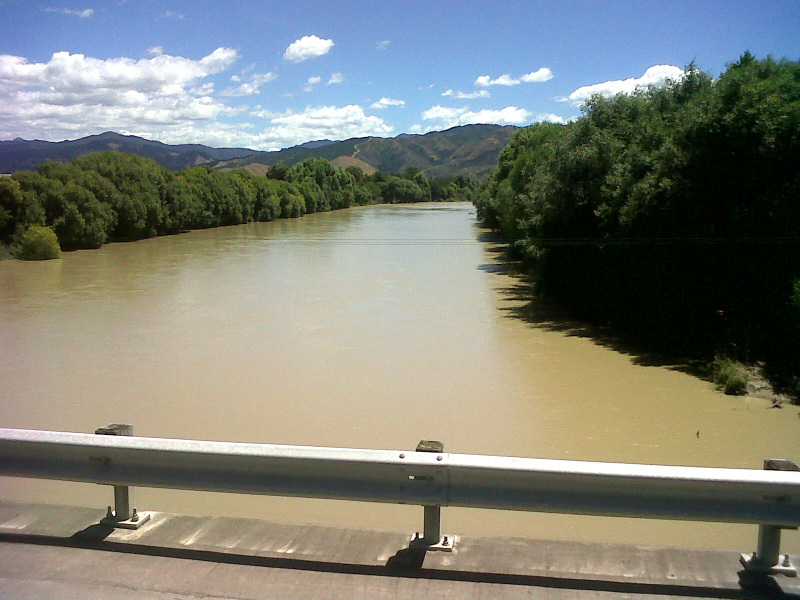 The Wairau River is quite green, but starting to clear now after getting flooded and muddy recently. 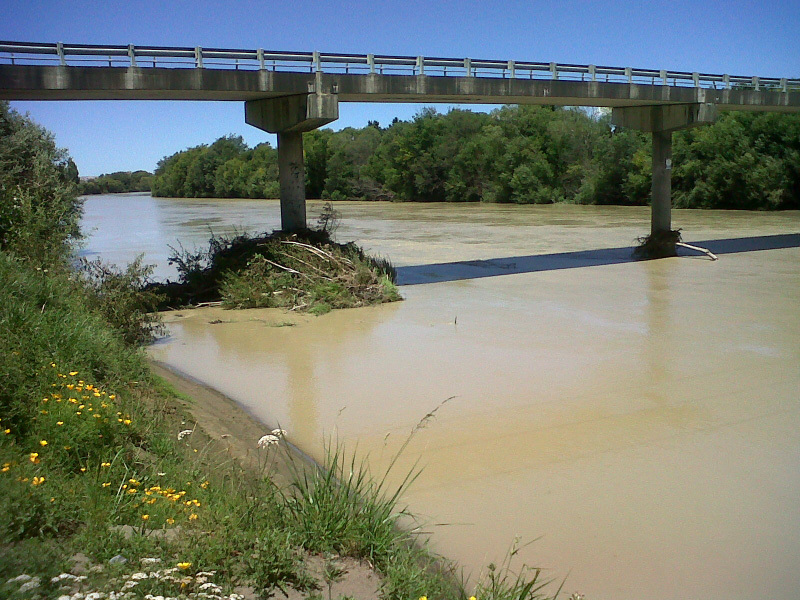 The conditions deteriorated since my photos eleven days ago before they improved. 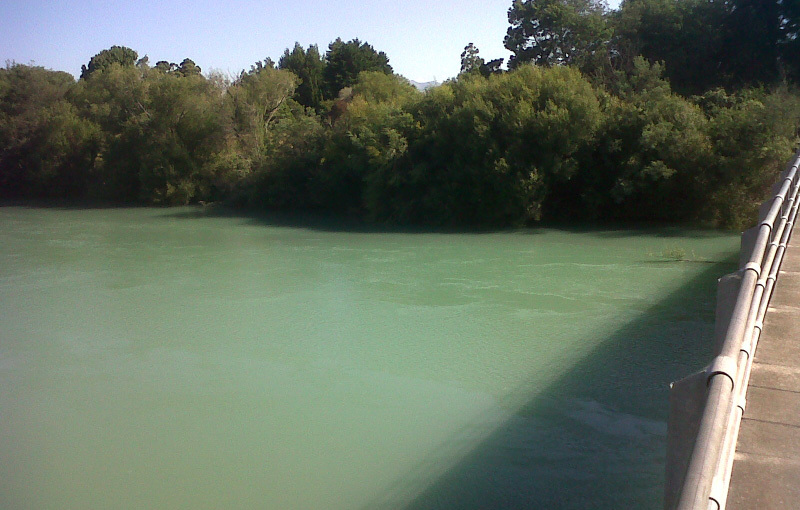 All of the following photos were taken today. 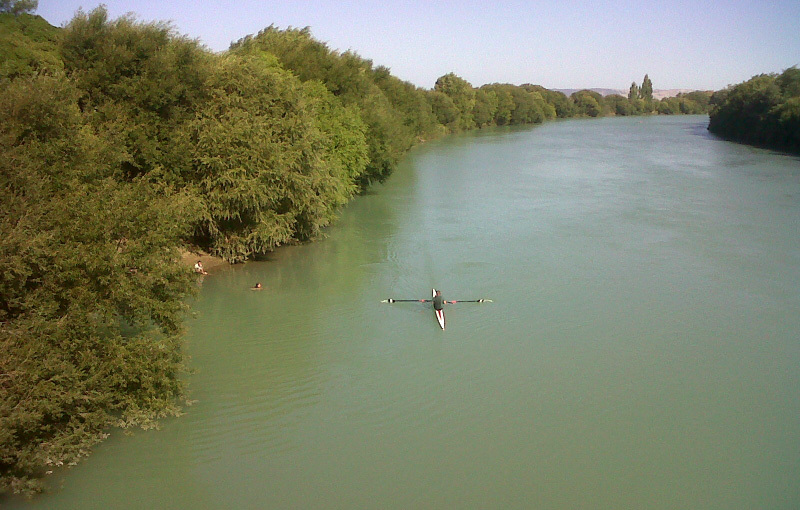 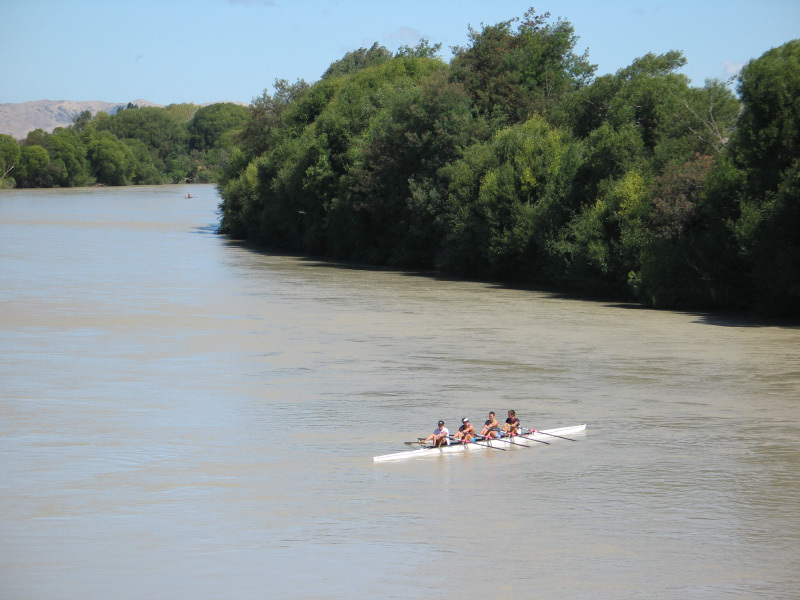 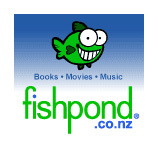 A woman swims in the Wairau River as a rower passes. 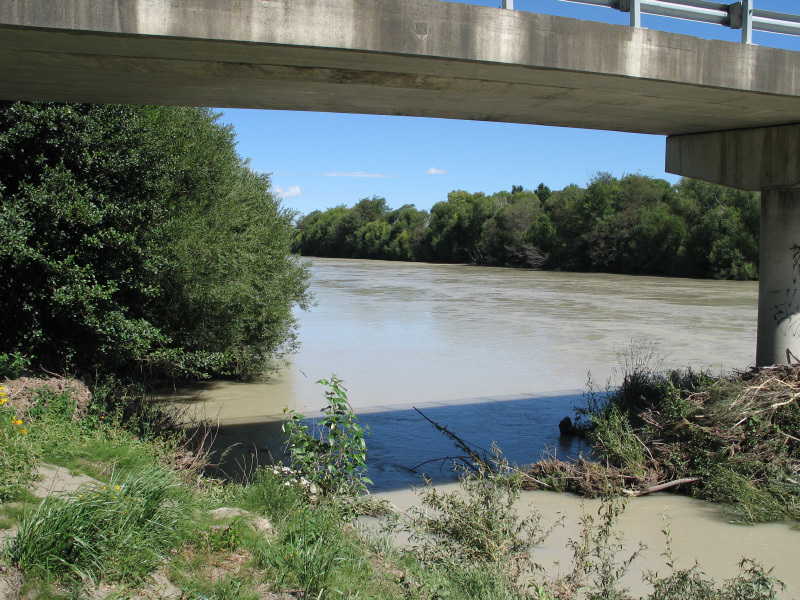 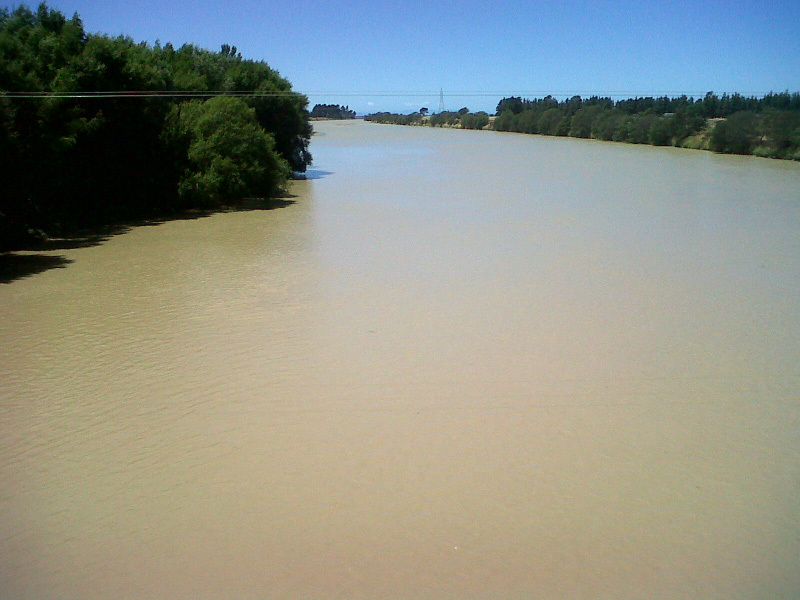 The Wairau River is still high and muddy. 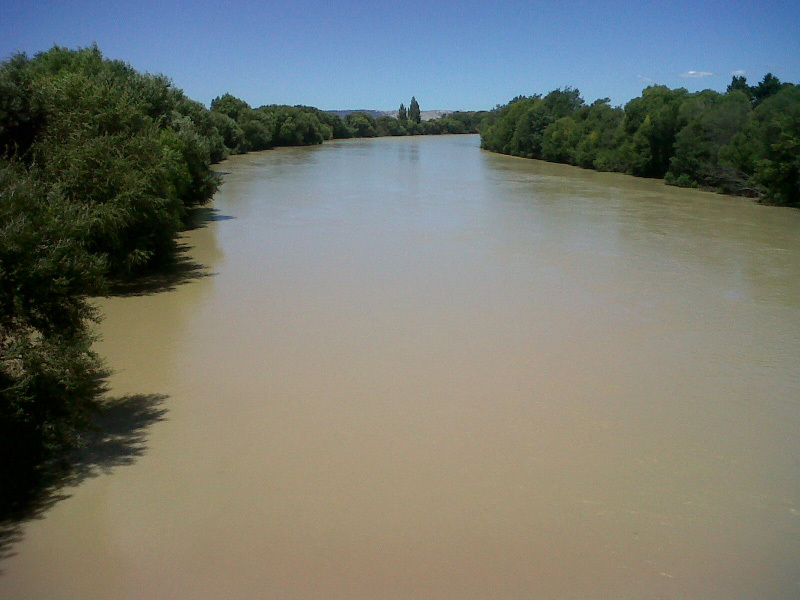 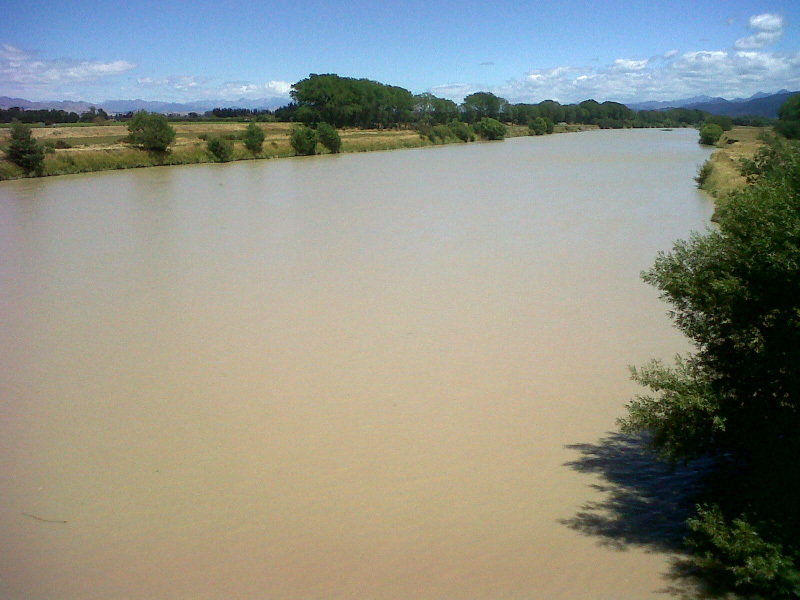 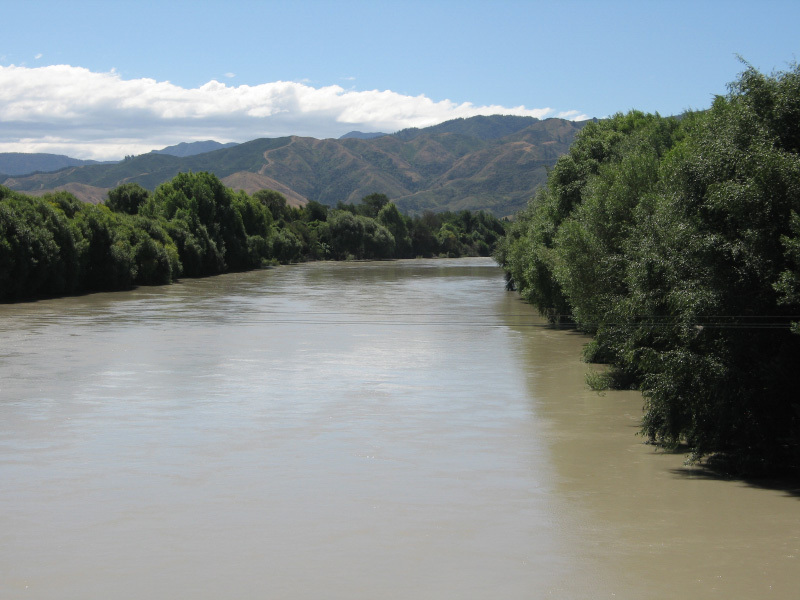 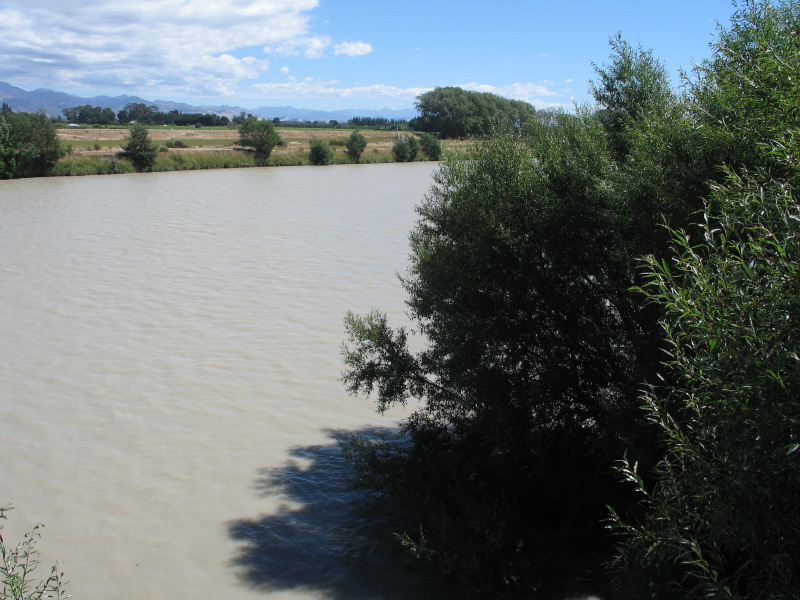 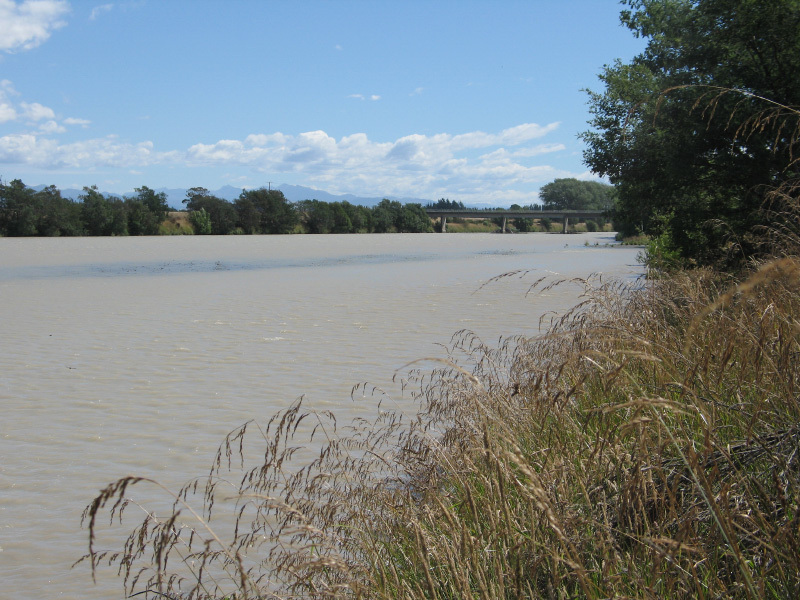 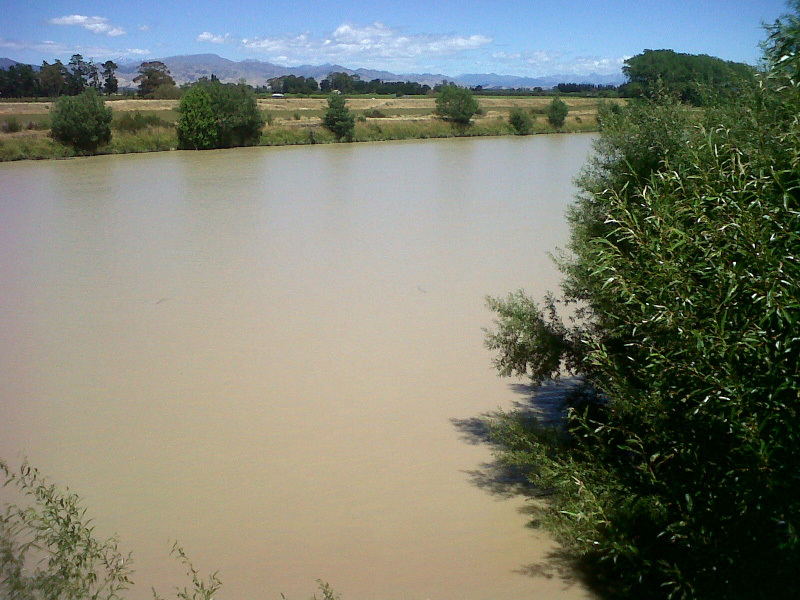 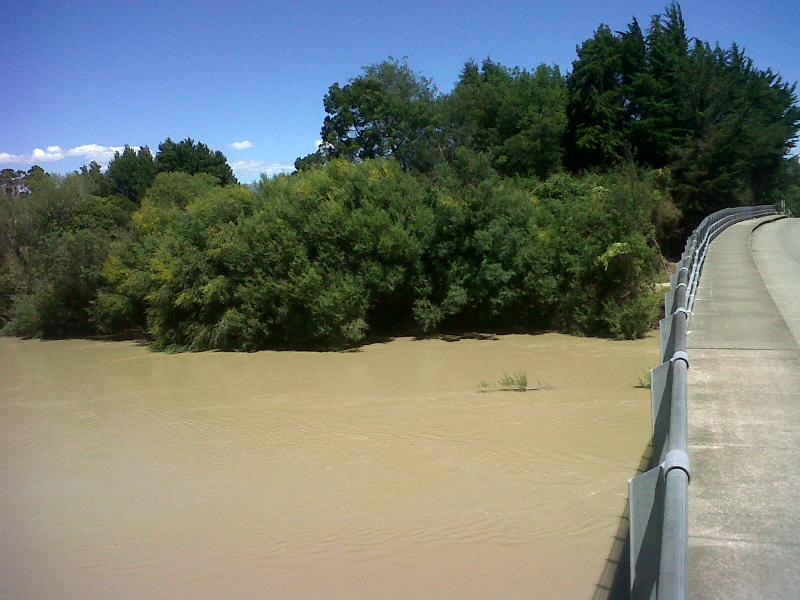 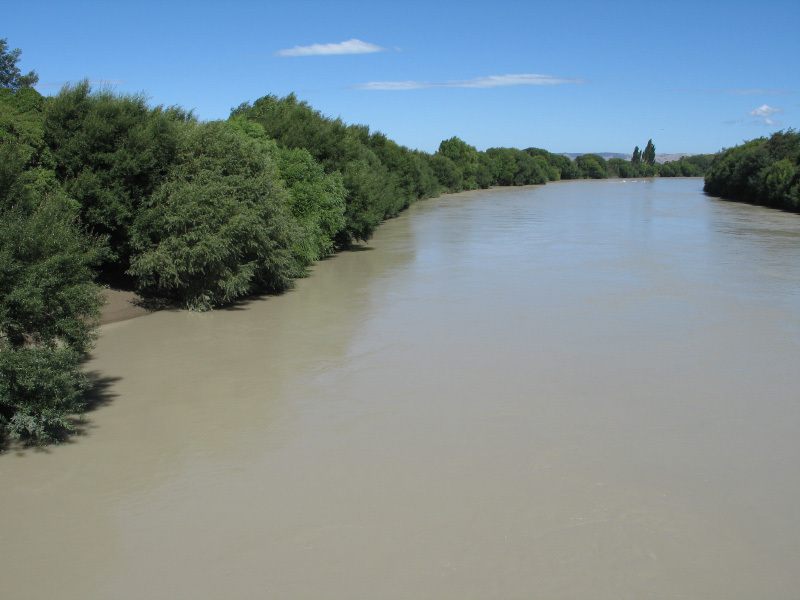 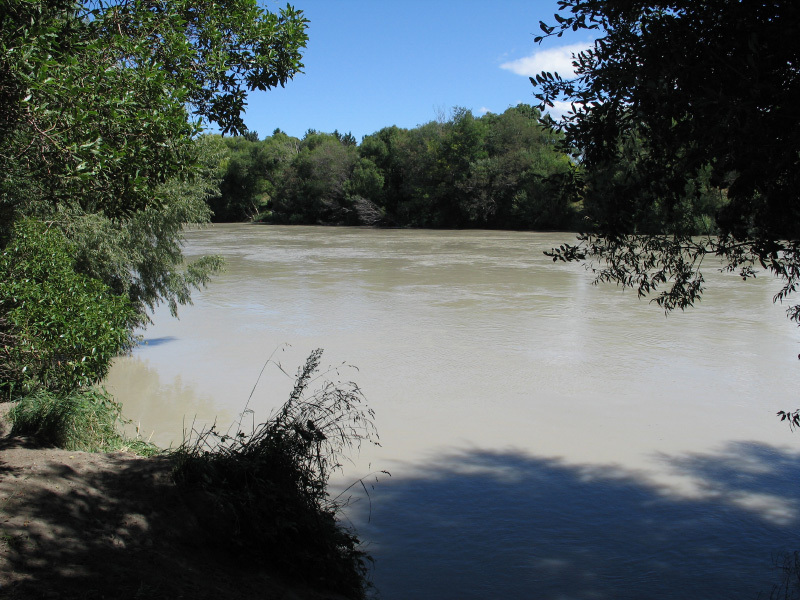 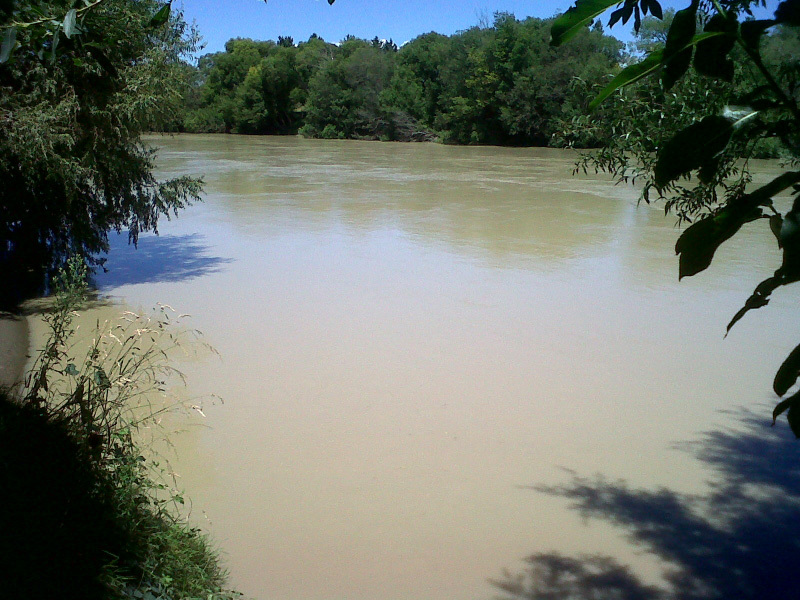 The Wairau River is high and brown from recent rain. 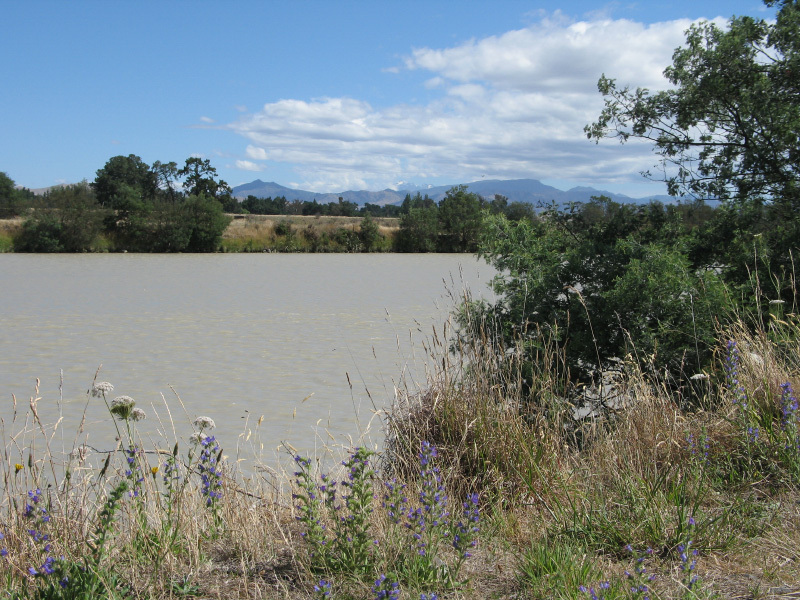 All photos taken today. 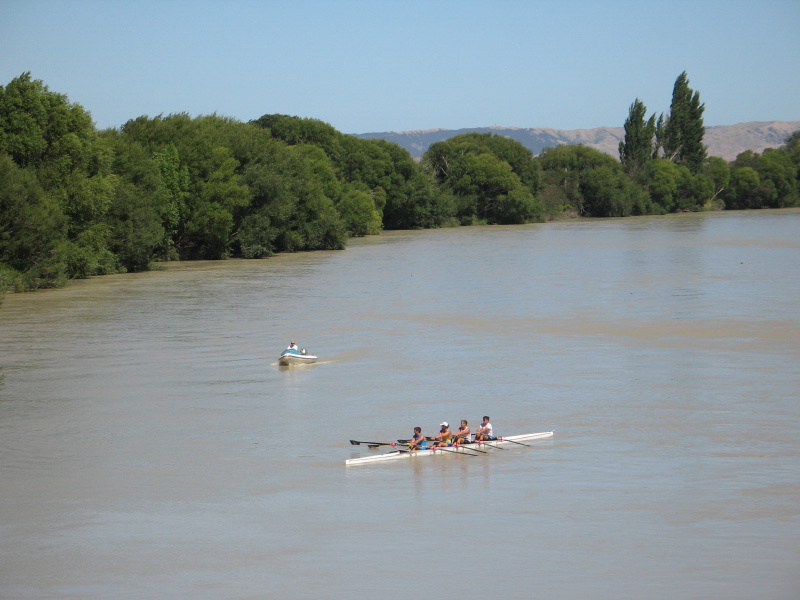 Some rowers were out, despite the cold wind and high river.